Check out Tobi's Feel For You Lace Maxi Dress Walk with seductive elegance on your next formal event in our Feel For You White Lace Maxi Dress. 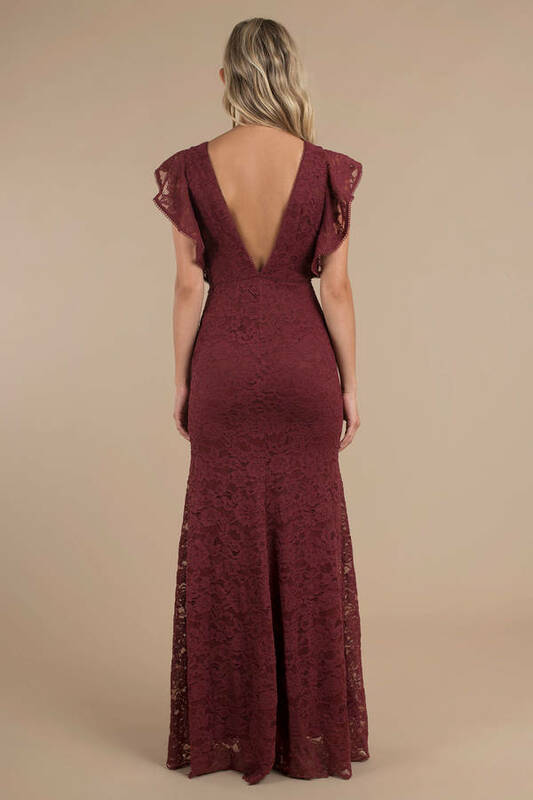 Featuring one-of-a-kind flutter sleeves, stunning lace overlay, a plunging v-neckline, and a thigh-high slit, this maxi dress hits the perfect mix of delicate and daring. Complete the look by strapping on a pair of silver heels and your favorite pendant necklace. Walk with seductive elegance on your next formal event in our Feel For You White Lace Maxi Dress. Featuring one-of-a-kind flutter sleeves, stunning lace overlay, a plunging v-neckline, and a thigh-high slit, this maxi dress hits the perfect mix of delicate and daring. Complete the look by strapping on a pair of silver heels and your favorite pendant necklace. Preserve the goddess-like silhouette of the lace maxi dress through right washing techniques and careful drying. Buy the Feel For You White Lace Maxi Dress in your size for that upcoming fancy gala.